You realize that internships are a critical way to help you land a job you love after you graduate. (And if you don’t, check out 5 Reasons Internships are Critical to Landing a Job After Graduation). But now you’re not so sure exactly how you can line one up. If you’re really lucky, you may have a parent, family member, or neighbor that works at one of your dream companies. But if not, don’t worry…you can still land an internship without a family connection. Setting up Informational Interviews with those established in your desired field. The first place I would start is identifying target companies in the industry or industries that you want to go into. Write down any and all companies that you know are within your desired industry. Then ask family and friends, and do online searches to add to the list. From there, it’s time to start doing research on the companies to prioritize your focus. Once you have a target company list of ideally 3-5 companies you’d love to learn more about or potentially work at, it’s time to figure out a way to get an informational interview there. If you personally know someone at a company, then go ahead and pick up the phone and call them to ask for an Informational Interview. If not, a great place to do research and find connections is on LinkedIn. Most people don’t realize, but you can search for a company’s LinkedIn page. When there, you can see all of the people that work there. Take a look to see if you know anyone, or if one of your connections does. Either reach out personally, or ask your contact if they’re willing to make the connection for you. Even if you don’t find a connection, identify someone who looks like a hiring manager in the area you’re interested in. Go ahead and send them a connection request with a note – who cares if they don’t accept or say no! Prepare a list of questions in advance that you want to ask your new connection. The questions should help you to learn more about the field and/or that specific company. Use it as a way to validate that you’d want to intern or work there full-time after graduation. If you do, then use follow up questions as a way to show that you’re very interested in learning more and pursuing this further. Let them guide the end of the conversation. If you really wowed them, hopefully it will end with an offer to apply for an internship, or to introduce you to someone else that might be able to help you. Don’t get discouraged if you don’t get an internship after your first Informational Interview. This takes practice and time. That’s why you need to do this with at least 3-5 companies. The more connections, the better! Want a detailed step-by-step guide to the entire process? 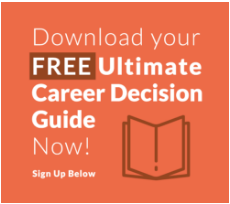 Click here to sign up and download our Informational Interview Guide.